I was put on the pill 5 years ago by a doctor who told me it would help manage my symptoms of PCOS, but I didn't imagine it would effect my mental health quite as much as it did. 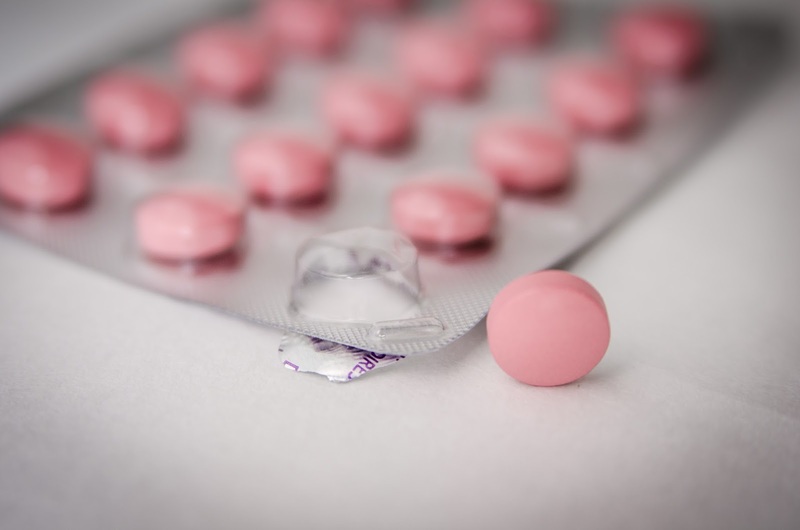 I thought I would share my personal experience with the pill and depression, how it made me feel and my journey trying different versions of the contraceptive pill to find one that worked for me. As I said above, this is my personal experience and my own journey and doesn't mean you'll have the same reactions as I did. I'm not a doctor and I'm not qualified to give advice, but if you have any concerns about how the pill is making you feel do make an appointment with your GP to talk it through. I was put on the pill when I was 17 after being diagnosed with PCOS. I was first put on microgynon which made me so terribly sick, then I was put on another one which also made me sick, after this I was prescribed Yasmin which didn't make me feel sick at all and I had no issues with it. I took Yasmin for 3 years - it helped clear up my skin and regulated my periods. I was suffering from depression throughout this period of time but put it down to personal issues in my life rather than anything else. I decided to come off the pill in October 2015 because I didn't like the thought of putting artificial hormones into my body and I wanted to give my body a break from it! After 6 months I hadn't got my period back and my skin wasn't as clear as it once was, so the doctor advised me to go back onto the pill, which I did. I started taking Yasmin again in April 2016 and had a far worse reaction to it than I had done when I was 17! I felt incredibly sick, it was so bad I woke up in the night and had to go sit by my sink for hours on end. As well as this, I experienced extreme hunger and I seemed to be holding onto water a lot more than before. This died down a little bit but never went away until I came off Yasmin earlier this year. My mood during April 2016 and Spring 2017 hit an all time low - I was having a depressive episode once or twice a week, my self confidence plummeted, my anxiety seemed to worsen and I found myself feeling really lost the majority of the time. Like before I didn't really think much of it - I've suffered with depression since I was 8 years old so didn't think this spell of darkness was anything to do with medication I was on. However, in Spring 2017 I switched pills to Femodette due to the extreme hunger and sickness I was still experiencing with Yasmin and found my mood almost instantly lifted. Since I've been taking Femodette I haven't had ANY extreme depressive episodes at all, I haven't felt as anxious and my sickness has almost completely gone away. Now...that can't be a coincidence! Yasmin has higher levels of hormones than Femodette, so I think those high hormone levels were effecting my mood severely and quite dangerously. Now I'm so much happier, calmer and more positive since switching pill and my body feels like it's really thanking me for it. I'm sharing this because mental health is such a big deal and if you're experiencing a change in emotions since you starting taking the contractive pill then it's really worth talking to your GP about. I just wish I'd known sooner what an effect the pill can have on mental health!